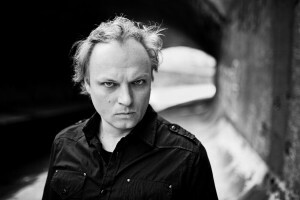 born in Eisenbergeramt, Austria, sonic artist, electronic musician, autonomous sound curator, lecturer and researcher. His artistic approach reflects on the relationship between sound, space, perception, physics and the body. His work has been widely shown and performed in several essential exhibition projects on the contemporary art, music and sound scene worldwide in leading museums, public spaces and at major festivals. RELEASES Architectronics (with Kodwo Eshun), 1999, Craft/Sabotage, Craft. 38, Austria. Spare Parts, 2007, Raster-Noton R-N088, Germany. Seismik Krew, 2016, Laton 066, Austria. EXHIBITIONS Next (with Peter Kogler), ING Art Center, Brussels, 2016. Franz Pomassl: Volume, NCCA Arsenal, Nizhny Novgorod, Russian Federation, 2007. Frequenzen [Hz], Schirn Kunsthalle, Frankfurt am Main, Germany, 2002.